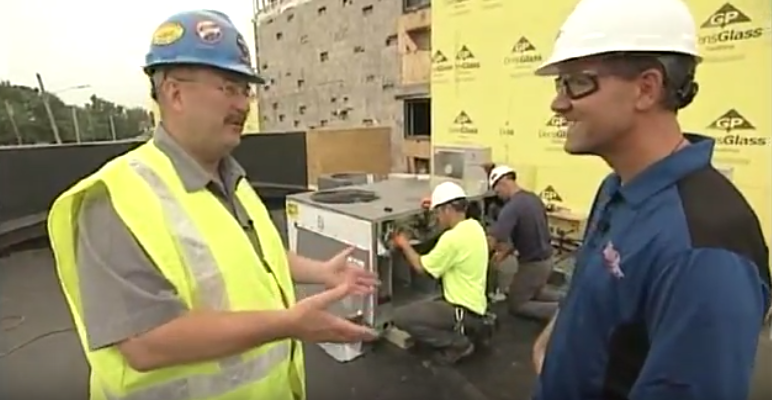 Today’s video from Building Wisconsin TV features Training for HVAC Service with members of Steamfitters Local 601. Host Stuart Keith meets with Doug Edwards to learn about the training programs available through organized trades such as Local 601. Then Stu catches up with Howard Schad and Tom and Jim Dillett from Dillett Mechanical at a couple HVAC projects, including a hotel remodel and a large convention center.